Here’s the CliffsNotes ® version (if you didn’t already know): VW was caught cheating on emissions tests through independent testing. It turns out the touted low emissions on their diesel vehicles occurred only during testing due to deceptive software VW installed. Once on the road, the diesels emitted 40 percent more pollution. At the same time as the cheating, VW was marketing their vehicles as the cleanest diesel engines, hence the deceptive advertising. And now the FTC has decided that it is suing Volkswagen. Again. 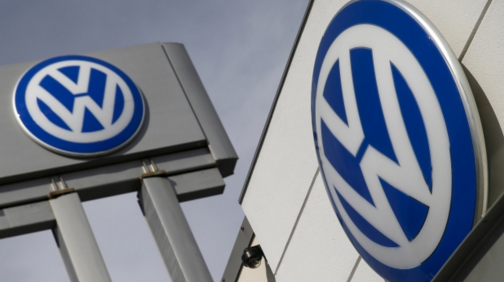 The FTC has already sued VW for violating the Clean Air Act. Damages from that lawsuit could total nearly $18 billion in fines. Damages for this new suit haven’t been disclosed, but the aim is to seek recompense for victims of VW’s alleged deceptive advertising. I get it, I do—VW cheated. And people bought the vehicles thinking they were going to be doing the right thing for the environment. And no one likes being lied to. But there is already a class action lawsuit against VW by owners. So why does the FTC need to sue as well? It seems like a money grab and here is why: the FTC wants VW to forfeit the profits on the vehicles it sold. Where will that money go I wonder? Probably towards a scholarship or memorial fund for all those killed—What’s that? Oh, that’s right. No one has died over this. Zero fatalities. Also, the story broke around late November. It is now April. How long did it take GM and Takata to sort their scandals out? Wait…They still are. And here is the other thing: I can’t remember the FTC suing GM when people DIED during the ignition switch debacle. I also don’t remember the FTC suing Takata. Maybe that’s apples and oranges. GM and Takata never said their devices are the safest. But there were cover-ups all the same. I am not saying VW should be off the hook. They lied, they got caught, they need to be held accountable. But I am just worried that in the effort to make them pay, quite literally, the ones who will really suffer are the autoworkers—who were forced into union representation by the way—who might lose their jobs if the monetary damages require closing of a factory here or there. What do you think? Am I missing the mark here? Can we please have a moment of silence?